Newport Rhode Island DUI Attorney | S. Joshua Macktaz, Esq. Rhode Island DUI Lawyer S. Joshua Macktaz calls Newport Rhode Island his home. His knowledge of the local area and affinity for Newport gives him a special understanding of the nature of alcohol related incidents there. This personal knowledge of Newport and it’s law enforcement procedures provides him with a unique understanding of local procedures when he provides aggressive and effective representation to individuals facing DUI (Driving Under the Influence) and related Newport RI drunk driving offenses such as breathalyzer refusal. 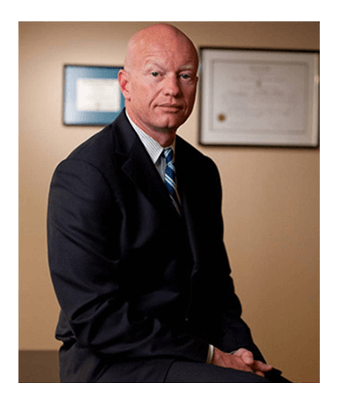 As a former Rhode Island Special Assistant Attorney General from 1993-1997 Attorney Macktaz has extensive experience with DUI as a prosecutor and has used that knowledge to successfully defend hundreds of private clients accused of drunk driving offenses. Before becoming a private Rhode Island Drunk Driving Defense Lawyer, Attorney Macktaz lectured in-coming Rhode Island police academy cadets as a AG Prosecutor on proper drunk driving investigations and prosecutions. This unique experience has afforded Mr. Macktaz a wealth of knowledge not readily available to the average criminal defense attorney. 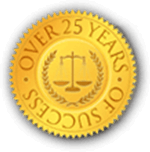 Early intervention by a qualified and experienced Rhode Island DUI Attorney is critical to success in your case. You need a Newport, Rhode Island DUI Attorney who is knowledgeable about Rhode Island criminal laws on matters of drunk driving (also known as DUI, DWI, driving under the influence, drunk driving, and driving while intoxicated). 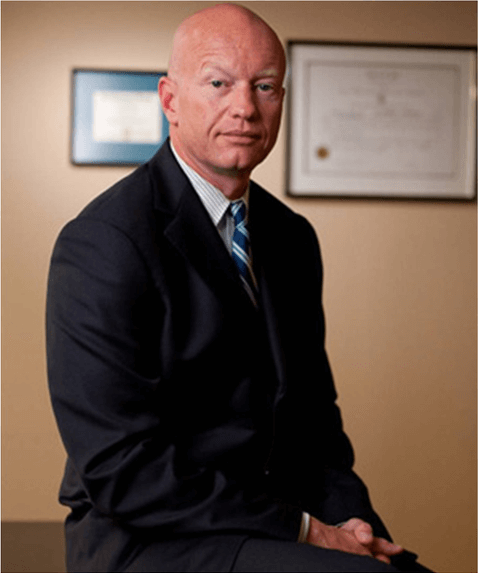 Aggressively protecting client’s rights and freedoms in criminal and DUI cases is what Rhode Island Defense Attorney S. Joshua Macktaz does for a living, every day in courts across Rhode Island. He is available at anytime to discuss your case. Because Rhode Island Rhode Island Drunk Driving Lawyer Joshua Macktaz serves all towns in Rhode Island, you never need to worry about him not practicing in your town. 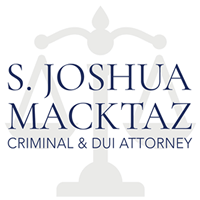 If you have been charged with a DUI in Newport, Rhode Island, call Newport RI DUI Attorney S. Joshua Macktaz, Esq. today at401-285-2996. As a result of Rhode Island’s “crack down” on drunk driving, and the concentration of people that flock to Newport for summer fun, Newport RI DUI laws have become some of the strictest in the nation. Without proper representation such as an expert DUI lawyer, a first-time DWI offender is at risk for significant penalties including a loss of license, thousands of dollars in fines, a criminal conviction, higher insurance premiums and in some cases, risk of incarceration. Driving under the influence of alcohol, also called DUI or DWI and drunk driving, is one of the most common charges encountered in the Newport criminal justice system. Refusing to take the chemical test or breathalyzer following an arrest for a DUI in Newport carries its own criminal penalty, which can include a minimum of a six to twelve-month loss of license, fines, community service, DUI educational classes, and other sanctions. Most Rhode Island DUI charges are misdemeanors; however, a third-offense DUI within 5 years is a felony. Additionally, Rhode Island DUI penalties are enhanced for DUI convictions where the blood or breath alcohol level (BAC) is .15% or higher. Any DUI resulting in a death of another person is considered a felony. Any driver under 21 years old found with an open container in his or her vehicle may face a 30-day suspension. “Implied Consent” means that any driver behind the wheel of a vehicle gives the state permission to administer a breathalyzer exam. The state defines driving while intoxicated (DUI) as any driver 21 or older with a BAC of .08% or higher. The law is less tolerant for drivers under 21 who can be charged with DWI for a BAC of .02% or higher. You can find a full account of Rhode Island’s DWI policies in Title 31, Chapter 27 of the State of Rhode Island General Laws. Here is a summary of the State of Rhode Island’s DUI Penalties. Understanding these provides the opportunity to defend this using one or many of these types of defenses. The Police cannot stop a driver unless he has reasonable suspicion to believe a crime has been or is about to be, committed. The police may stop an individual for any traffic violation. DUI Roadblocks have been held unconstitutional in Rhode Island. A car cannot be stopped based on an anonymous tip or 911 call. According to the National Highway and Traffic Safety Administration’s own training manual, improperly administered field sobriety tests do not produce reliable evidence of intoxication. NHTSA does not endorse non-standardized field sobriety tests such as; reciting the alphabet, counting backward or picking up an object. This means there is no scientific foundation for the officer to justify giving you this test or that your performance can translate into intoxication. The police must have probable cause to request you submit to a chemical test for purposes of a criminal charge. The police must advise you of your right to have an independent chemical test performed by a physician or hospital of your choosing and afforded a reasonable chance to exercise this right. The police must observe you for at least 15 minutes prior to you taking the breath test. A true copy of the breath test results must be mailed to you within 72 hours of the test. The breath test machine must be in full compliance with the regulations set out by the Department of Health. The breath test operator must be certified within 365 days of the test. Two complete samples must be given within a 30 minute period. The two samples must be within a .05% agreement of each other. Many police stations have video surveillance to record all suspects during processing. Additionally, more and more patrol cars are equipped with mounted video equipment which records everything from the stop of the car to the field sobriety testing at road side. Gaining access to these videos may provide exculpatory evidence showing the favorable performance and balance of the suspect. The video will also capture the officer’s administration of the test which, if given improperly, would provide a basis to challenge the officer’s credibility. It is not just the prosecution who is allowed to call witnesses at trial. If you were in direct contact with one or more people shortly prior to your arrest, you may call them to testify to your lack of intoxication. It may be your passenger, the waitress at the restraint you ate, the bartender where you just left or even the family who picked you up from jail. Any lay witness, meaning they do not have to be an expert, can testify to their opinion regarding your sobriety. Any interrogation that takes place while in police custody must have been preceded by a Miranda warning. If not given, any statements made as a result of questioning would be excluded from the trial. This is particularly important when incriminating statements were made by you after your arrest. Rhode Island law requires the police to observe a suspect for at least 15 minutes prior to administering a breath test. This is because any mouth alcohol, which could be the result of recent alcohol consumption, hiccuping, burping or vomiting, would cause a false elevated reading. The defendant has an absolute right to present expert witnesses in his own defense. DUI law is extremely complex and it may be necessary to call an expert to testify to such issues as; toxicology, chemistry, biology, breath testing instrumentation and/or functioning. Pre-existing medical conditions related to your brain, legs, neck, back and vision can eliminate the validity of field sobriety testing results. Acid reflux, diabetes, certain prescription medicines can have a dramatic effect on your breath alcohol testing results. Weather reports establishing high winds, low visibility, and other conditions are available to explain poor driving or poor balance. When you consume alcohol, it takes time for it to absorb into your system. Essentially, you could have a number of beers or alcohol and not feel the effects to sometime later after you stop drinking. When a breath test is given you at the police station, it could very well be up to an hour after you were last driving. The breath test will give a result for what your BAC at the time of the test, but what about your BAC an hour prior, when you were actually driving? Retrograde extrapolation is the formula for determining BAC at a prior time. This may very well lead to your BAC being below the legal limit at the time you were actually driving, even though it was above the limit at the time of the test. The breath testing machine works by measuring the amount of alcohol in your breath. If you have been exposed to certain fumes, substances and/or particles, a false reading could very well take place. A common example of this is a painter who is exposed to and has been inhaling, certain paint fumes throughout the day. Other substances such as cough drops, Listerine, or ethanol based products could have an impact as well. Operation is an essential element to Driving under the Influence. Where you actually operating the car or just sitting in or near it? Was your car on a public or private road? Was your car being operated on a Rhode Island road or a road that is owned by the Federal Government? A thorough investigation of where you were actually observed operating your car is required for a successful defense. Contact Newport DUI Defense Lawyer S. Joshua Macktaz for a free consultation today at 401.285-2996.